This last weekend we were really planning on seeing the new James Bond movie. Mostly for 710, but I enjoyed Skyfall too. More than I thought I would. 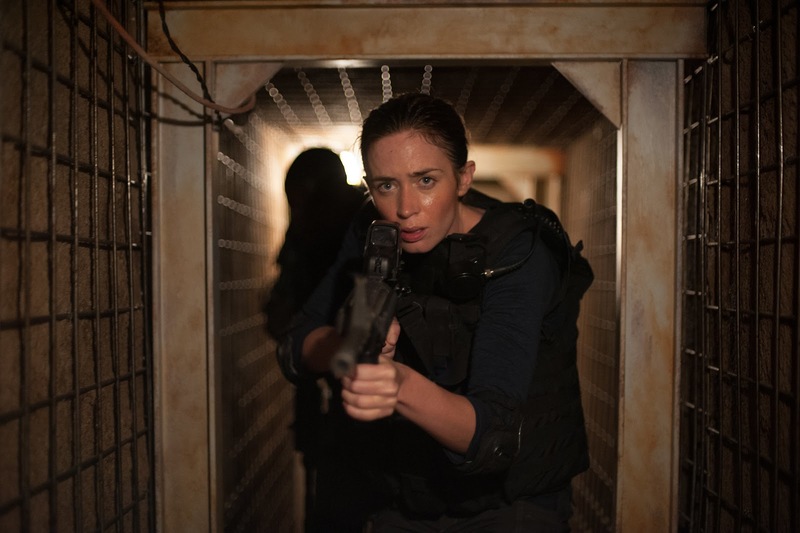 But we also wanted to see Sicario - and considering it was down to playing in all of two theaters - each for one showing per day - we knew if we wanted to see that on a big screen it was now or never cable. While I can't say it was super high on my list, I know 710 wanted to see it, and for the most part I have dominated our movie-selection process for 2015. The one preview I saw didn't really call to me. And you know, well, Benicio Del Toro doesn't ever do it for me. If the press releases are correct, Sicario was written for all males. They reworked some things for Emily Blunt to play the lead. Let's start with the storyline. FBI, DEA, CIA, etc battling drug lords. It is a story old as time - well, if you're 40 or under. It's a brutal and gritty story. And one full with contradictions, blurred lines (half-sing that like Robin Thicke) and untidy endings. But if you know the subject matter going in, you know all those things. While no doubt Blunt will get the nod for award nominations, she was ok. She was not over the top good. She is fairly one-note in this film - keeping the same expression from being interviewed, to being on a raid, to drinking beer, to almost being killed. Still this keeps alive my claim that she might never surpass her role being "Emily" in the Devil Wears Prada. The reality is, any award nod will be due to the fact that there are few female roles like this. You can chalk the one-note thing up to being a steady FBI agent or just questionable direction. The stand-out is actually Del Toro. I loved his performance. Josh Brolin does a good job - though you've seen some of it before, even from him. And this is the second movie this year where I've seen Jon Bernthal (from the Walking Dead - though I've never seen the show) appear. I'll just say, the man can wear a pair of jeans. And he has a great nose. No spoilers, though you can guess them to a degree. The story isn't extremely original, but it is very well done. There is violence, as it is multiple government agencies and drug cartels. Some of the violence is implied, some is aural, but your mind goes to visual even though the camera does not. There are some great scenes and shots. I turned to 710 and said so. I wasn't really disturbing anyone, as it was a 19:35 showing on a Sunday. The other four people in the theater were nowhere near us....and I whispered. There are some really well done action scenes - not just filmed that way, but envisioned at the way they were done. While it is doubtful that the movie is still playing in many markets, you still might have a chance to see it. I would actually recommend this movie. I'm guessing it has to better than other movies at this theater: Friends and Romans? The Man in 3-B? The Perfect Man. The last one isn't a question mark. I've seen numerous previews for this when it was released mid-summer. The bigger concern is that it is still out there! The theater we went to is attached to a sad mall, that must serve a different clientele than I noticed before. I'm just sayin', is it just me that thinks Regal Cinema and Geico Insurance are racially "marketing"? W.T.F. I'm a blunt fan, Emily Blunt. But movies about drug lords and G-men, or G-women never really do it for me. Daniel Craig, though, this Saturday baby. Poppin? 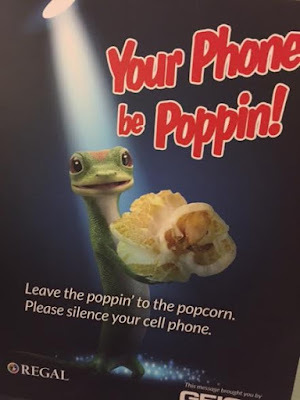 A phone? I just popped over to urban dictionary to check this out and found there are some colorful uses for the "verb" Poppin I might add. This is a nice post. I enjoy the story that you write about drug and FBI, CIA. Most thrilling story that I read. Thank you for your nice and interesting sharing. I love this movie,especially Daniel Craig.